Nanotechnology, sensors, flexible batteries and electronic systems, internet of things, STEM research and education. 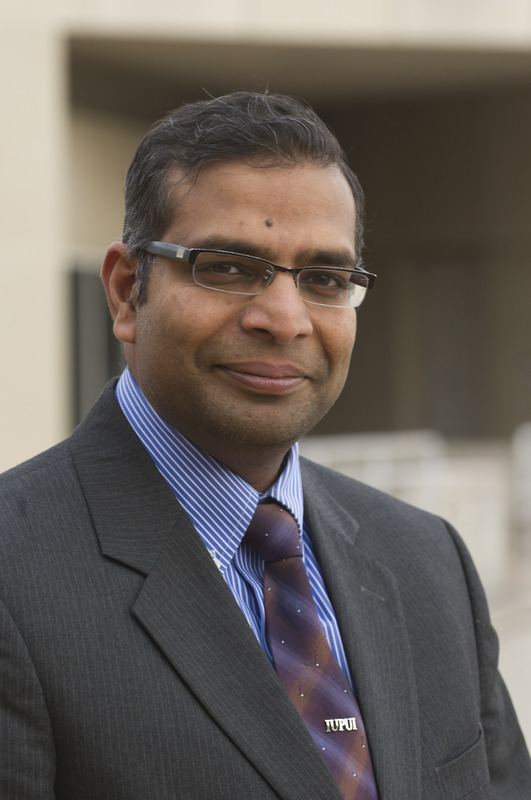 Mangilal Agarwal is a professor of mechanical engineering and energy and director of the Integrated Nanosystems Development Institute, or INDI, at IUPUI. He directs the development of interdisciplinary research and education initiatives, with a focus on nanosystems for biomedical and energy applications. Agarwal received his M.S. (2002) and Ph.D. (2004) in engineering from Louisiana Tech University in Ruston, Louisiana. After his Ph.D., he was a postdoctoral research associate at the Institute for Micromanufacturing. He joined IUPUI in 2009 as the associate director for research development in the Office of the Vice Chancellor for Research.